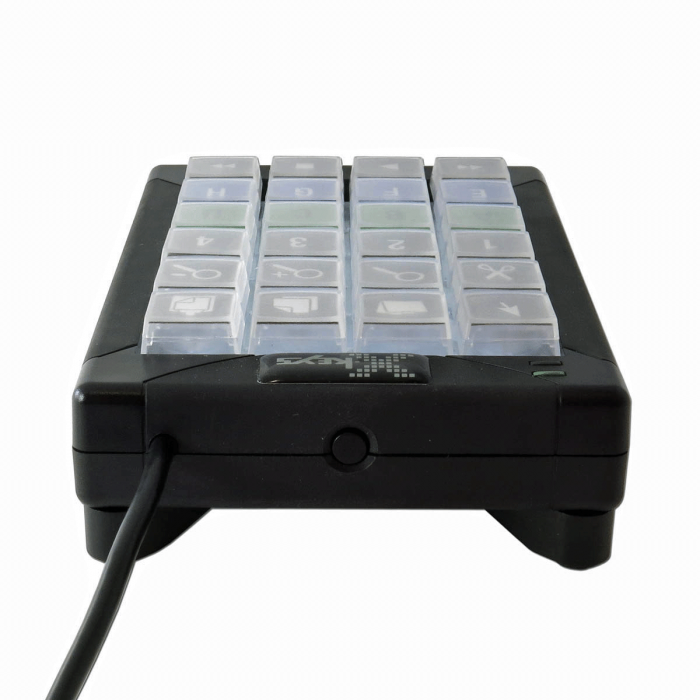 24 dedicated keys with addressable backlighting in a compact footprint. 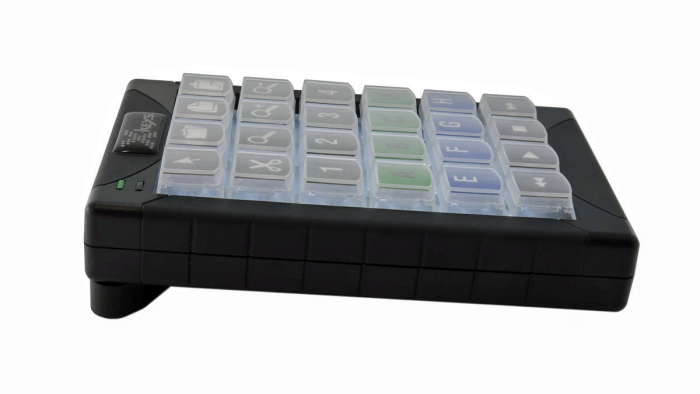 A versatile control solution for any computer application. 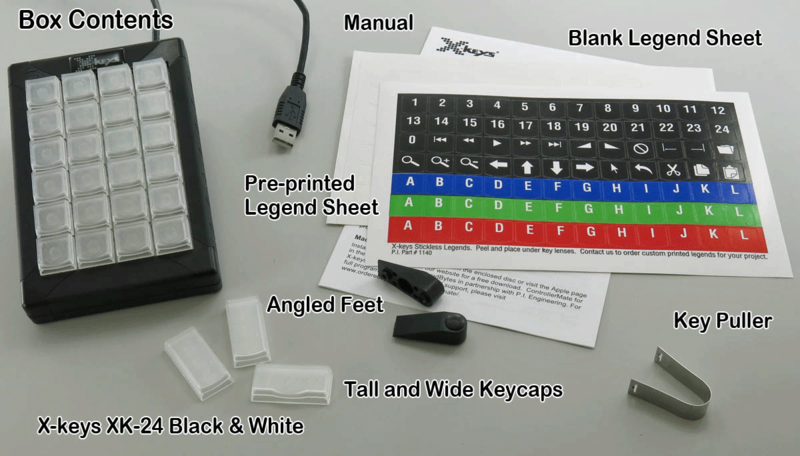 Our most popular X-keys. 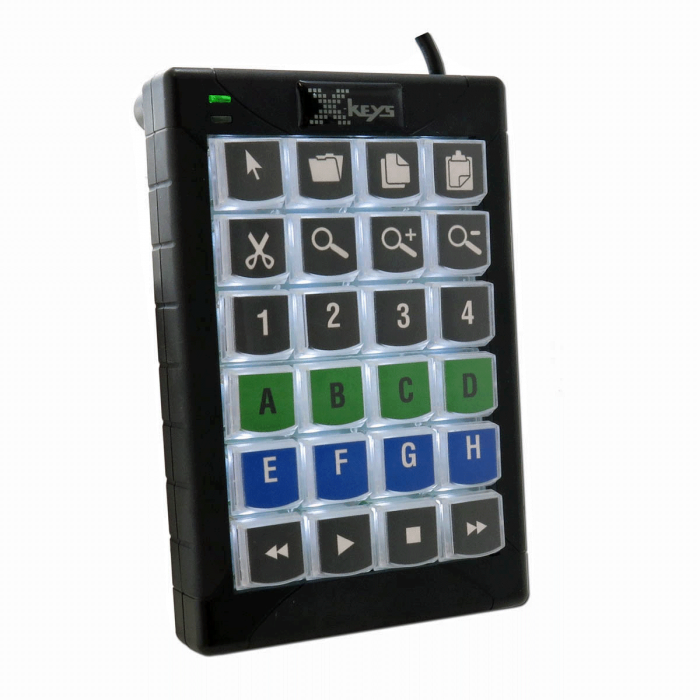 The XK-24 offers twenty-four programmable keys to trigger macros, shortcuts, and applications, select tools or open files or directories. 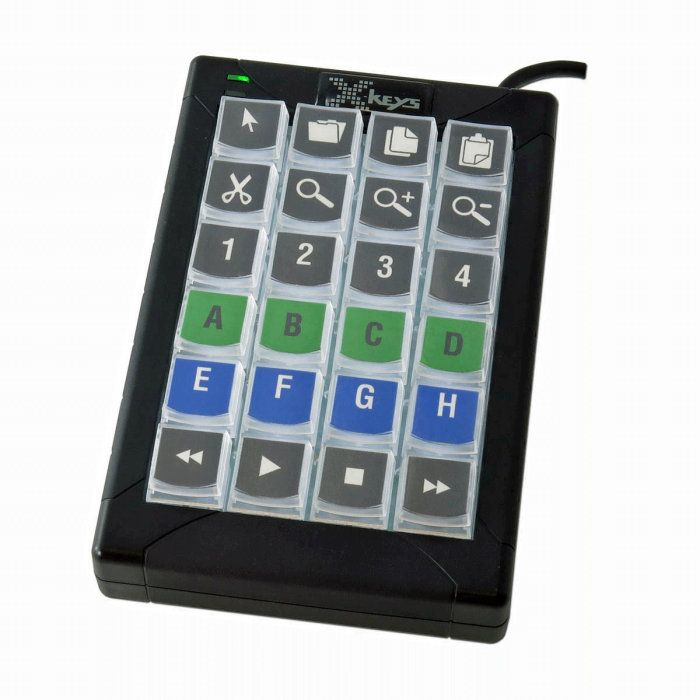 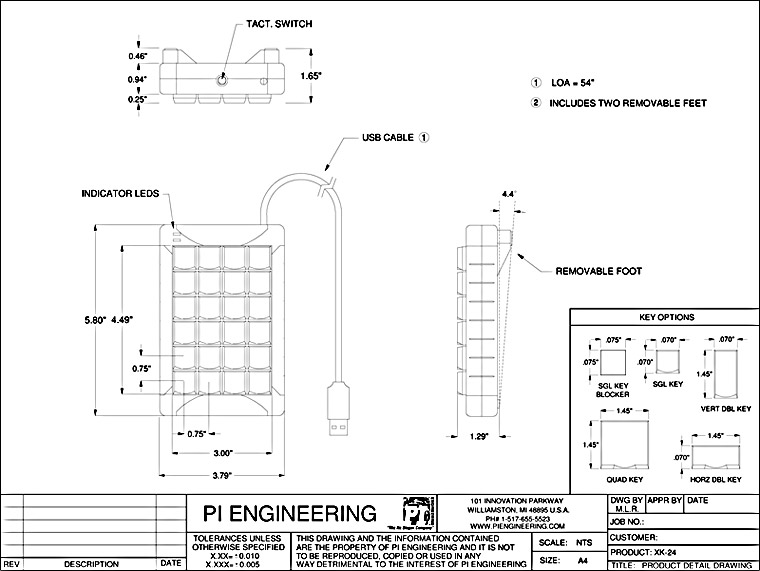 With a co-injected case equally suitable for handheld or desktop applications, the XK-24 provides a versatile control box for any computer driven application. 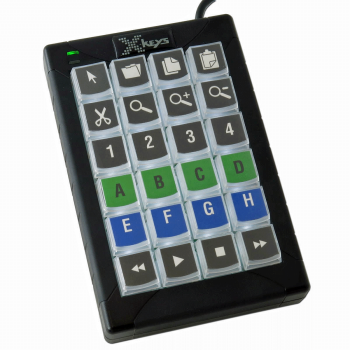 Use key blockers and tall or wide keycaps to instantly customize the XK-24 for your specific requirements. 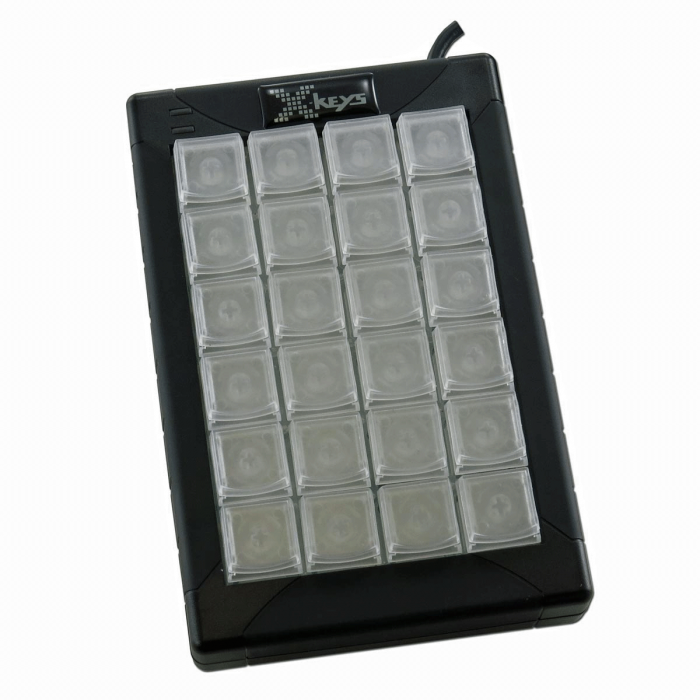 Detachable feet give the XK-24 a slight angle to make the key legends easier to read.